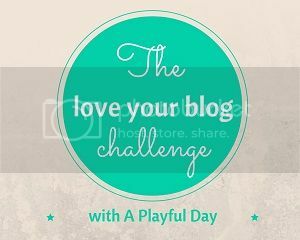 It's week 3 of the Love Your Blog Challenge and we're talking about when things get UGLY. What does that mean, exactly? Well, ugly means different things to different people, of course, but as with pretty much, well, everything, blogging has an UGLY side. When I consider the word UGLY in the context of my blog, it conjures up images of disappointments. Let's face it--I write a knitting blog, so there's not a lot of controversy or trolling going on, but that doesn't mean things always work out. There are frustrations and anxiety when bloggers have to face an UGLY truth. A giveaway that garners few entries, a prize winner who doesn't turn up, a thoughtful post that doesn't evoke any comments or new content that no one shares--they all lead to the same conclusion: no one is reading this thing. What I have put considerable time and effort into is of no value to anyone else. That may not be true, of course. Not everyone feels compelled to comment on posts they like, not everyone Pins things. Lots of people read and then move along, and there's absolutely nothing wrong with that. But the expectation of interaction that never comes to be can make you feel ugly things about your (ugly?) blog. When I need to face an UGLY truth about my blog, I usually let myself stew for a few days and then move on. I revisit the whole concept of blogging and remind myself that I started doing this for me, and I will continue to do it for me. In an ideal world, lots of knitters will read and comment on what I've written, but if no one ever does, that's ok too. I want to create something of value for the fiber arts community, but if I make that the sole reason for writing, I'll drive myself crazy. So I remind myself that it's A reason, not THE reason. And then my blog is pretty again. Have you ever felt UGLY about your blog? Share!